Over two years ago (doesn't time fly?!?) 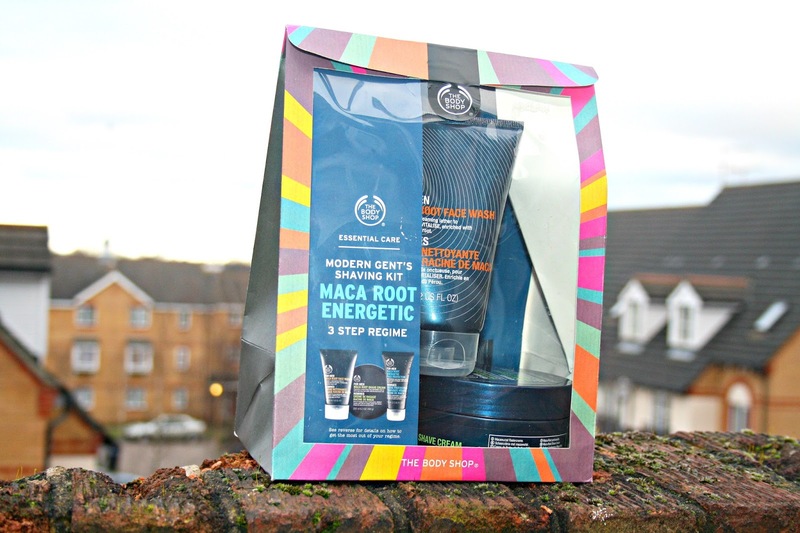 I wrote about the amazing male grooming gift sets available from The Body Shop and just before Christmas I was sent two of the Modern Gent's Shaving Kit to see what I thought of them. At the time I'd completely forgotten that I'd already tested and recommended it. With that in mind, and the fact that the products are well worth a look I have a spare kit and rather than let it gather dust at my place (I don't shave that often at all anymore) I'm making it available here for one lucky reader to win. All you have to do is follow the Rafflecopter prompts below. So what's up for grabs in the kit? The giveaway will be open to anyone with a postal address in the United Kingdom. If you are aged under 16 you will need parental permission to enter as I will need your name and postal address if you are selected as the winner. The winner will be selected at random from Rafflecopter. Shaving every day for work is ruining my skin so anything to help that would be great! I'd love to win for my eldest son who is starting to shave! I really like 1 Million by Paco Rabanne! I would love to win for my husband,. My husband wears hugo boss night and its lovely! Gift for my husband...i can't recommend one though as I don't wear it haha. 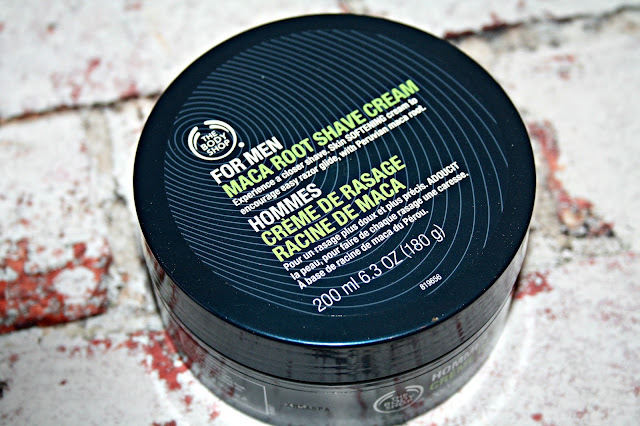 I would love this for myself and my boyfriend, we love trying new male grooming products and looking and feeling good. My favourite aftershave (well scent) is Davidoff Cool Water but would also recommened one from M&S which is in a gold bottle - my boyfriend buys it regular and always smells fab. I would love to win for my fiancé, who loves a real smooth shave and we both love Crabtree @ Evelyn aftershave Nomad, but it’s hard to get hold of these days. I'd like to win as it would make a lovely gift for my OH. I love Joop! Homme. I want to win because this is my dad's FAVOURITE stuff and he didn't get any for christmas!!! Armani Code for men is soooooo amazing! Davidoff coolwater is also so amazing! I want to win to shame my scruffy designer stubble brother into having a proper shave!! I'd love to win this for my Hubby. I love Body Shop products & use them myself but he has not tried the mens range yet. The last aftershave he bought was Obsession. We tried loads of samples & this was his favourite. 2) I don't like him having scratchy stubble! I'd like to win ths for my husband.I like Bleu de Chanel. I'd love to win for my husband - he takes shaving very seriously. He doesn't actually use after shave but prefers to use a moisturiser after shaving but if I had to recommend an aftershave then possibly a little Myrrh & Tonka by Jo Malone - I don't like overpowering amounts of aftershave. My boyfriend would love this! He loves Paco Rabanne Million! I'd love to win these for my husband as he never treats himself. Would love to win for myself! I would love to win this for my boyfriend! I would recommend Dior - Sauvage every time! It's my Dad's b-day next month and he wears the same old aftershave. Something new would take years off him. I have a husband and three sons so these would be very much appreciated. 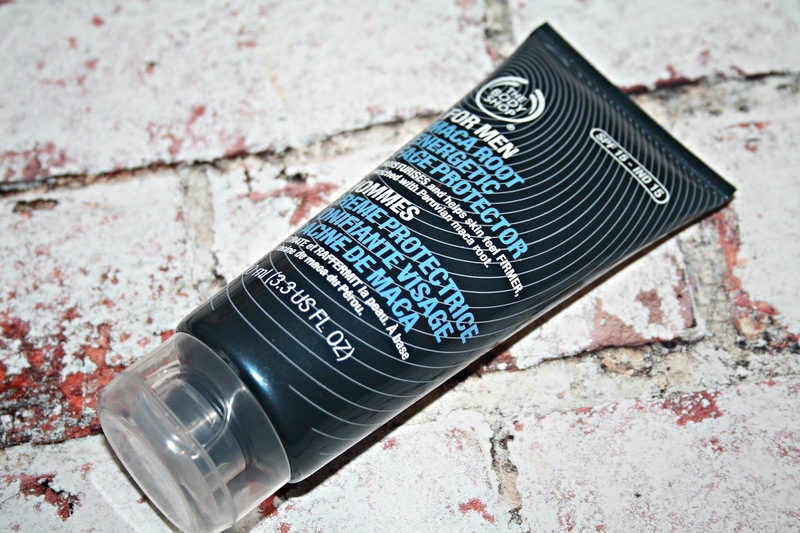 My husband has used Aramis Classic aftershave for years and i love the scent. I would love to win this for my other half, he would love it. I particularly like Dior Sauvage on him! I would like to win as my favourite after shave is no longer available and I need to find a new one; RIP Pierre Cardin! I'd love to win this for the other half - I keep threatening to buy him Hai Karate (as a joke)! I like Vetiver by Guerlain. I have two sons who would love this! Tom Ford makes the best aftershave! I really like 1 Million by Paco Rabanne - i would probably keep it myself! Would love to win this for my husband, his beard is on point! I really like Joop Homme Wild. For my significant other. He enjoys Bulldog moisturiser as an aftershave. I would like to win this for myself, I like Paco Rabanne 1 million aftershave. I'd love to win this for my other half. I particularly like Tom Ford but that might be because I know Gary Barlow wears it! I'd love to win this for my husband. 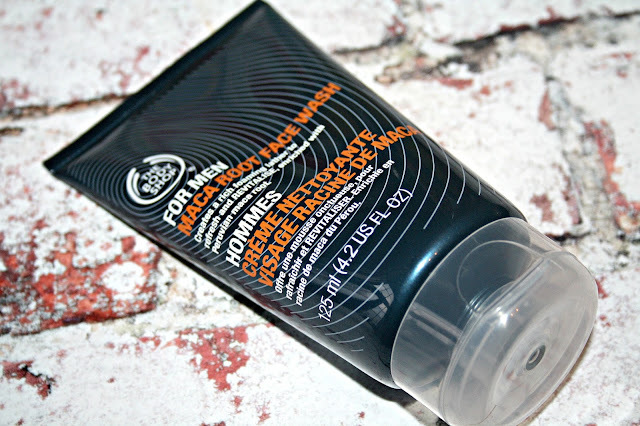 We both have sensitive skin and I find that Body Shop products are good for me. Think my husband would benefit too. He really likes Eternity for Men and I love the way it smells on him. I would like to win this for my husband to try! He sometimes wears Paul Smith which is really nice! Love Carolina Herrera 212 Men, find it very hypnotic and with a little more cash too splash Armani Eau De Cedre, completely irresistible. Be lovely for my son who is starting to shave this year and starting his first apprenticeship job next month. I'd like to win this for my partner. At the moment he used Bulldog products. I'd love to win this for my partner. I like '1 Million'. I shave my bonce too, so anything good is appreciated. I would like to win so I could treat my husband. My favourite aftershave is Chanel Allure. I would keep this for myself, and I love Joop. I would like it for my brother. Not sure about fav aftershave though. 1 Million by Paco Rabanne is gorgeous (both the mens and womens one) Would be gifting this to my dadda! Would be great gift for fiancé. Davidoff Cool Aftershave is nice.